When I was in middle school home and careers class, we did a little bit with pretending we were creating a business. I remember very little about it, though it seemed like it was more planning than creating or enjoying our success. (and something about a cow. Like it was our product name or something. I don’t know. That was a long time ago). My children, on the other hand, are really learning what they’re doing, and they’ll remember the lessons from this process. 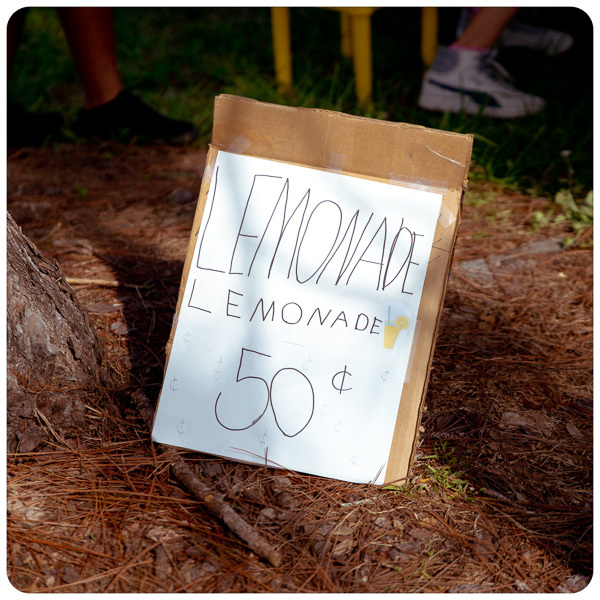 Last spring, Rebekah decided to sell lemonade, and Jasmine and Hudson decided to market homemade popsicles. They got all the needed components at the dollar store, and they spent time creating signs and plans. 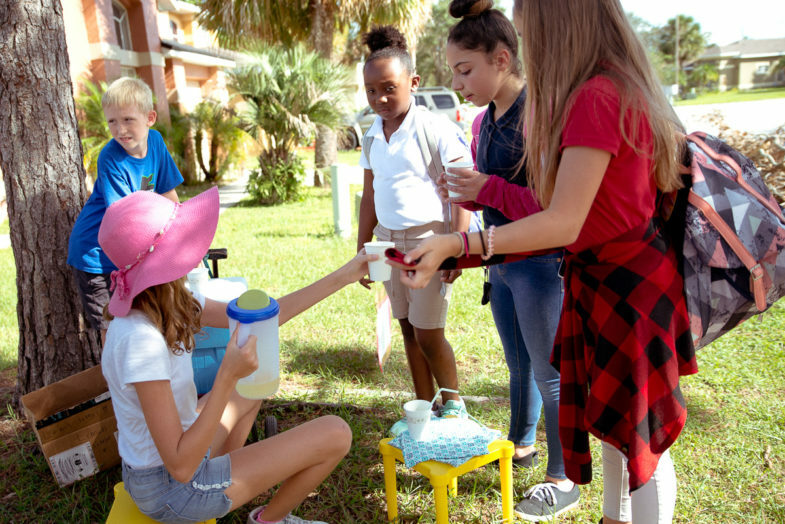 They realized that they could open up their stands in front of the neighborhood playground, which also happens to be the school bus stop. If they were in place when the kids got off the bus, they could sell to all the kids. In the spring, Jasmine’s and Hudson’s popsicles did far better than Rebekah’s lemonade. So Rebekah did what she needed to: she lowered her prices. She created signs to take to the busier intersections, and one day she had Hudson stand at the signs to get more attention to them. She saw more sales as the school year wound down, though Jasmine almost always sold more popsicles. Summer in Central Florida is too hot to be outside, and there were no buses, so their business went into hibernation mode. But Jasmine was already planning for the fall. This time she was going to try her hand at lemonade. A couple weeks before school started up again, she created a sign in Scratch, a site that teaches the kids how to program, code, and design. She bought the lemonade powder and put signs up all over the neighborhood announcing her opening date. School finally started, so her stand could open. 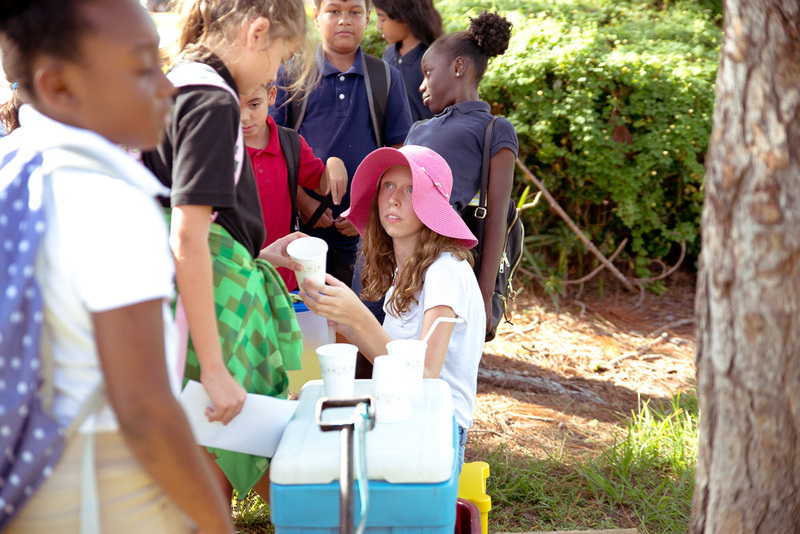 She hit the ground running, selling out of lemonade (or running out of cups) most days. So she bought larger containers of lemonade powder. She got better cups. Today she placed an order on Amazon for better pitchers (She was renting Rebekah’s dollar store pitchers, which weren’t sturdy, and the rental period was ending). And she’s making plans to add new things. She’s considering making limited-time lemonade popsicles. She is going to make a loyalty-rewards card to encourage more repeat customers. And she has fans. There’s a girl in the neighborhood with a goal of buying a certain amount of lemonade (amount not told to us), so when Jasmine found out, she drew an adorable picture of the girl to give her when she completes the goal. They’ve made good money, they’re getting practice tithing as soon as they get sales, and they’re learning how to deal with inventory costs and marketing strategies. Whether they end up creating legitimate businesses as adults or not, they’re learning valuable lessons and I love seeing them figuring out how to solve the problems that come up. And I love that Josh and I are taking a back seat in this, offering suggestions as requested but otherwise letting them figure things out.